Are you thinking of building an application? The application development process involves a series of interactions among the development team and members of one or more business units. The whole team and different members of the group work together to prepare the outline design specification, writing codes, testing system, and finally delivering the application. The application should be designed by understanding the platform on which they will run and perform better. Also, it is important to ensure that it is easier to manage. But nowadays many companies are moving forward to embrace cloud computing and have started shifting their data to the cloud. So whether you are planning to develop an application for public or private opting cloud computing is a better option. But do you have a complete understanding and knowledge of cloud computing? In order to deliver the right value on the cloud platform, it is essential to design and build a cloud application architecture. Complete knowledge of cloud computing helps the team in building great designed applications for the cloud-based platform. Here are some of the tips that help you and your team to get you off the right foot. Understanding Integration Challenges: In today's time there are many different application modules that are built to interact with each other. The integration is so difficult that it becomes challenging for the team to understand each connection. Therefore it is essential to understand the planning process that should encompass the on-planning resources and your company's infrastructure and their coordination with the app's schedule to move it out of the cloud. Analyze System Resources: The cloud application system is highly dynamic in nature with the constantly changing system configuration. This increases the unnecessary cost of developing an app and therefore it is essential to take necessary steps to deal with such issues. Dealing With Performance Issues: Initially, the cloud application is meant to run on a few computers that makes it easy to check and to deal with any issue related to performance. But now it is possible to run the cloud services on multiple servers across the massive data centers. This makes it highly crucial for the developers to understand the flow of information among web servers, application servers, and database servers to analyze and avoid any performance issues. Get out of your comfort zone: Earlier the development program rely on tried and true programming languages like Oracle, JAVA, Microsoft's.Net. 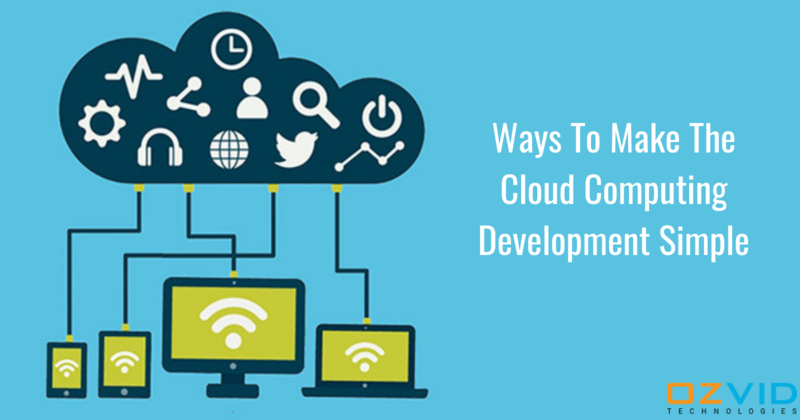 These platforms are good to enhance the existing infrastructure but if you are willing to work on a different platform then the cloud application development works. To understand and enhance your knowledge in working with such great platform it becomes essential for the developers to move out of their comfort zone and to gain knowledge to become familiar with new platforms, like Amazon Web Service (AWS), and Microsoft's Azure. Consider communication between application components: Decoupling applications does not mean that your application is architected for the cloud. It is equally important to focus on designing applications that optimize the communications between application components. Adopting the right ways and developing cloud applications help companies to make many potential benefits like flexibility, more agility, and lower costs. But for the efficient development of the application, it is important for the business to understand the fundamental differences and to take the potential steps to avoid or mitigate the potential downsides.